Garage cleaning and shed reorganization projects all start with junk removal. Once you get those unwanted boxes, work benches, gardening tools, and seasonal items out of the way, you can start getting the most out of your space. If you have bags and boxes crowding up you garage, shed and attic space, book an appointment and our qualified team of professionals will remove any junk you no longer want. We’ll take your old tools, books, and other junk leaving you with a clean space when we’re done. All you have to do is tell them what you want gone and they will handle the rest. We’ll even take unwanted car maintenance supplies. Our prices are available online and include labor, transpiration, recycling and disposal of your unwanted garage junk. We’re not only junk removal and garage cleaning experts, we’re experts at responsible disposal which means our work doesn’t stop when we leave. We’ll sort your unwanted garage and shed junk to keep reusable and recyclable materials out of landfills. If your junk items can be reused, we’ll take them to be donated and put to work for someone else. We’re also experienced with recycling all kinds of garage, shed and attic junk. If your junk items can’t be saved, we’ll recycle them and responsibly dispose of any waste. When household and outdoor junk is recycled, it saves valuable resources. When your clutter and junk is sorted for recycling, any pieces that contain hazardous materials are removed and disposed of separately. Safe and responsible disposal of unwanted junk and debris helps prevent the release of chemicals into the environment and reduced the impact on landfills. Visit RecycleGuige.org for more information on recycling metal and other materials. Please be aware some car maintenance supplies are hazardous and must be disposed of separately. We’ll ensure all hazardous materials are disposed of safely and in accordance with local and federal regulations. Please not there may be an additional charge for removal of your hazardous materials. You can view our pricing online for more information. For general junk removal, pricing is based on the size and weight of your items and starts as low as $37. This means you pay by volume, not how long it takes to load your items. The more items you have us remove, the better the value because our prices are cheaper in bulk. Step 1: Book Your Appointment. Call us at (904) 751-2177 or Book Online Now to get started. Choose a preferred day for your service and we’ll get in touch to confirm the details and schedule. We do out best to accommodate your needs. Step 2: We Haul Off Your Junk and Leave It Clean! Once our team arrives, just tell us what needs to go. Our estimates and pricing include all fees for pickup, removal, recycling and disposal of your junk. After your items are loaded, we make sure your area is clean. Arwood Waste is environmentally friendly and we are a GoGreen certified company. Minimizing environmental impact and giving back to the community by recycling, reusing or donating as much as possible is very important to us. We value your time and want to make the junk removal process as easy as possible. Here are a few tips on preparing for your appointment. Make sure you know where all the junk items are currently located. Create a list and label them with notes or colored tape. If your items are spread over multiple rooms or floors, don’t worry about moving them. Our teams are trained to safely lift these items, and have special equipment to use when necessary. Heavy lifting is part of our junk removal service. If you have a lot of smaller items hanging around, gather them up in bags along with any loose rubbish. The process of gathering smaller items may help you identify larger items you don’t want to move yourself. This will also speed up the process when our team comes to haul your junk away. Oil, solvents, batteries, paint, asbestos, medical waste and other hazardous materials need to be processed separately. These items require specific disposal methods to protect the environment and for the safety of our crew. 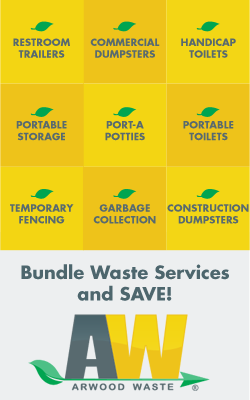 Let us know if you have any of these items when you book your junk removal service so we can make the proper arrangements for their disposal. Label and separate them (if possible) from other junk items. Arwood Waste is dedicated to reliable and responsible junk removal and disposal. We always aim to meet or exceed expectations and it’s this philosophy that drives us to not only follow applicable environmental requirements but to go beyond them and seek creative ways to reduce, reuse and recycle wherever we can. We pride ourselves on being accountable to the community by emphasizing environmental stewardship and corporate social responsibility. We support recycling education efforts like The Recycle Guide that provide information and resources for our communities. Between recycling and donations, we keep as much as 80% of your junk out of landfills. Much of the materials we haul can be donated and reused, so we make sure to identify and donate any reusable furniture, electronics, clothing and home wares to local charities whenever possible. Even salvageable construction debris is donated to Habitat for Humanity. 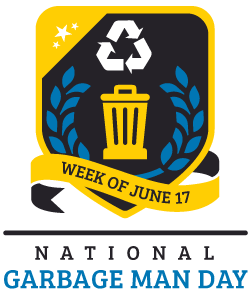 We feel it’s important to take care of our community, and one of the ways we do that is by making sure nothing goes to waste. Our socially responsible practices ensure your old junk is put to good use and kept out of landfills whenever possible. Will they haul away asbestos or other hazardous debris?